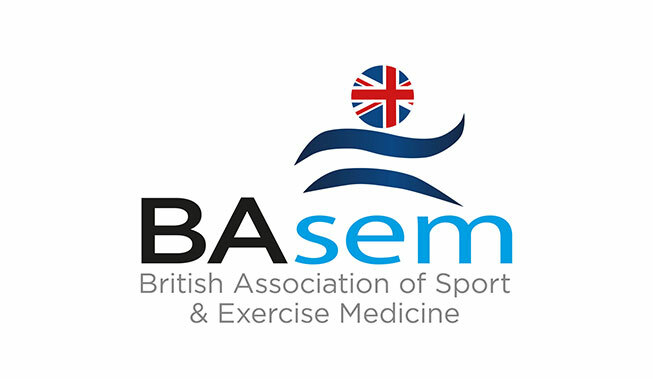 The 2019 Spring Conference of the British association of sports Medicine (BASEM) was held in Birmingham on the 7th of March. The focus was on mental health, sport and exercise. Simon Rosenbaum from Sydney opened the day with a keynote presentation on the importance of physical activity for mental health. He described not only the latest literature but also some successful projects in New South Wales. He is a powerful and persuasive advocate of exercise and physical activity in psychosis noting the huge and growing disparity in serious physical health problems and early mortality in psychosis. He was followed by psychiatrist Amit Mistry and Sports and Exercise Medicine consultant Catherine Lester. Both are passionate about physical activity in support of mental health. Several speakers touched on the importance of addressing the mental health needs of athletes. Alan Currie and Allan Johnston reported on the literature and best practices in this area and were followed by leading psychiatrist pain specialist George Ikkos an impressive double act of athlete Laura Innes and psychologist Claire-Marie Roberts reporting on how they had worked together when Laura experienced a serious sports injury. The day concluded by considering the mental wellbeing of the support staff ‘The team behind the team’. Louise Wright described how the performance staff had approached this during the 2018 Commonwealth Games and Sarah Cecil reviewed the arrangements for para athletes and the Invictus Games. The next BASEM conference will be in Glasgow in November. British Athletics and BBC Get Inspired joined forces to host the ‘Sporting Mind’ Conference at the BBC Studios at Media City on Wednesday 30 January. A series of sessions on topics such as disordered eating and the transition from talented junior to senior competition were concluded with a keynote address by Olympic gold-medallist Helen Richardson-Walsh. 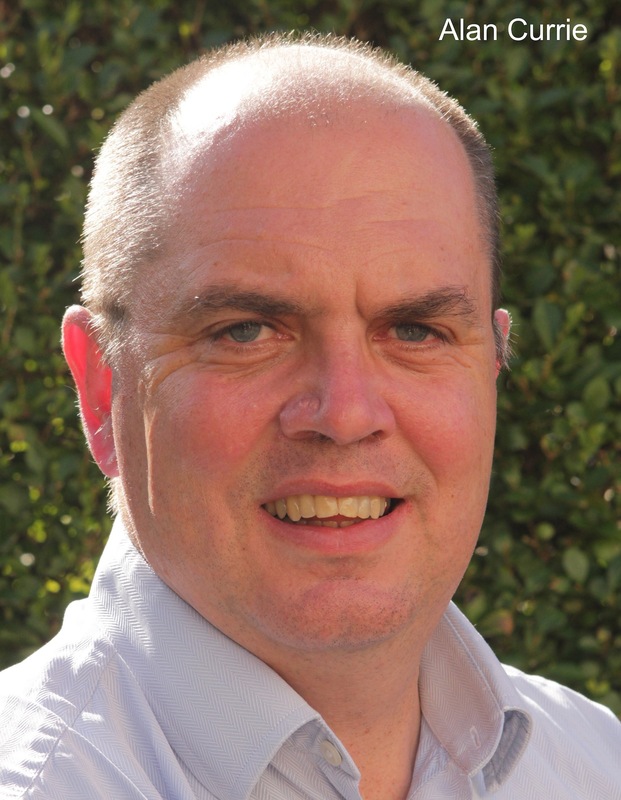 Dr James Bell will take on the role of Head of Mental Health alongside four experienced clinicians (Professor Alan Currie, Dr Amanda Gatherer, Dr Allan Johnston and Professor Steve Peters) who will advise the high performance sports system in England though the next Olympic Cycle. Read Dr Claire-Marie Roberts writing on the UK Anti-doping website on how mental health problems can affect an athlete’s decision to dope. Those who subscribe to the Royal College of Psychiatrists CPD programme can now take advantage of a 90 minute Sports Psychiatry module. 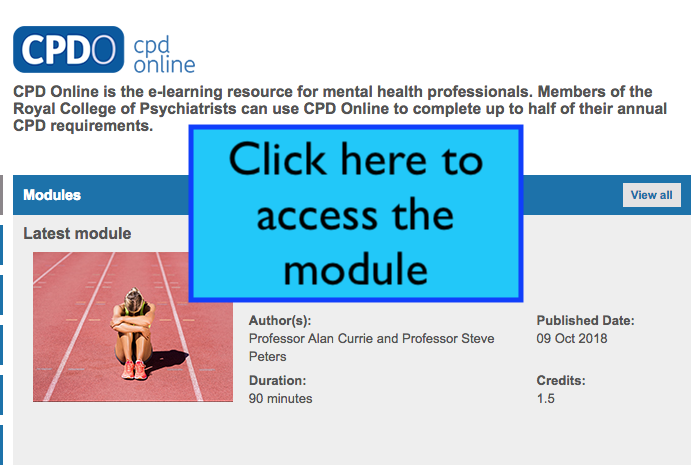 The module was written by Prof Alan Currie and Prof Steve Peters and was launched in October 2018. A wide range of topics are covered including assessment and treatment of athletes and working with sports teams. The ‘Moving Medicine’ website is now live. It should prove to be an invaluable resource for all health care professionals. The site is full of helpful information and there are a number of disease specific pages. There is no reason not to introduce physical activity recommendations into any consultation. The Autumn 2018 meeting of the Royal College of Psychiatrists Sport and Exercise Psychiatry Special Interest Group (SEPSIG) was held at the Institute of Sport Exercise and Health (ISEH) in central London. The meeting was a great success. 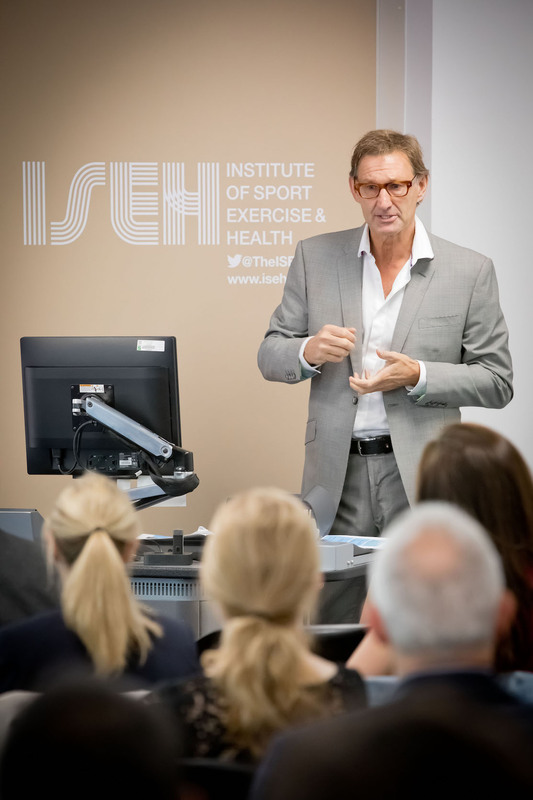 SEPSIG are grateful for the support of ISEH in providing a tremendous venue for the event and also owe a huge debt of thanks to Tony Adams who headlined and opened the conference. 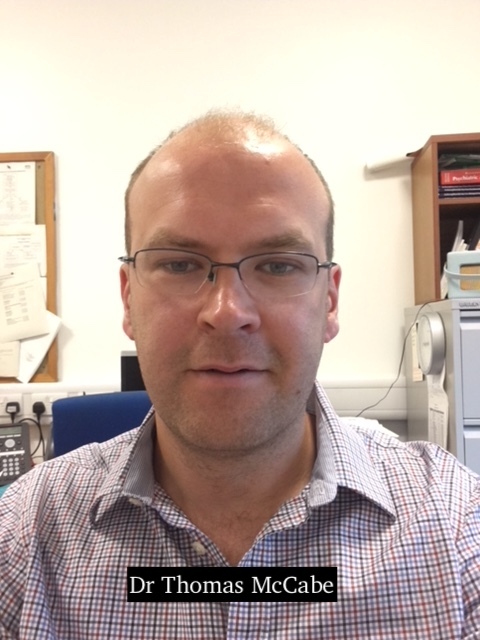 Scottish sports psychiatrist Tom McCabe has been writing on the alcohol culture that prevails in sports such as rugby union. Click the image to read more. 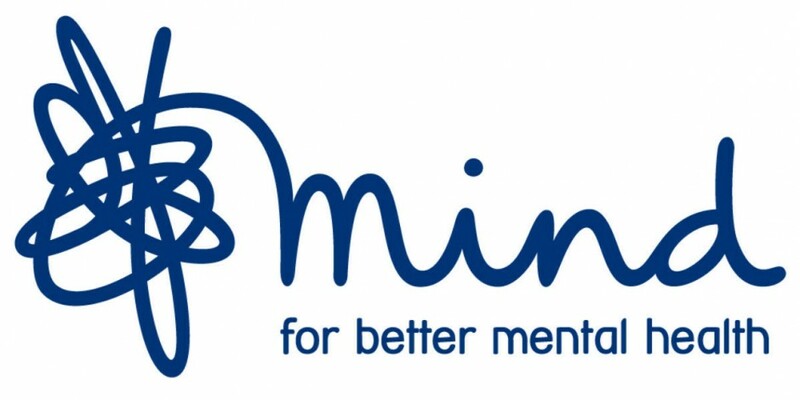 Former GB powerlifting team member, Jess Jones will be doing her bit in October to raise money for MIND the UK’s leading mental health charity. Jess will be raising money via her ‘Million in a Minute’ campaign. The idea is to set a personal challenge and perform a particular activity for 60 seconds. As Jess is an accomplished strength athlete and already a world record holder, her challenge will be to set a world record for most dips on parallel bars in a minute (carrying an extra third of her bodyweight!) Click the link to see her world record from 10 years ago. Details of her own personal fund raising activities are on her facebook and JustGiving pages too. 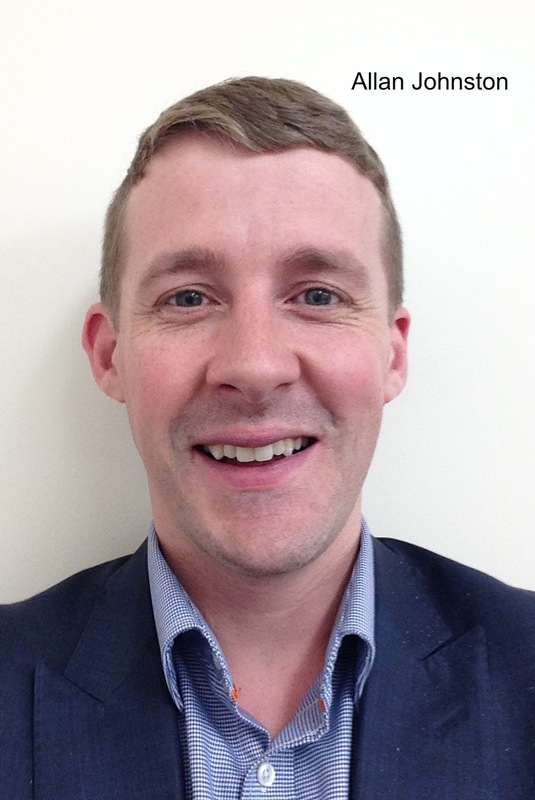 Dr Thomas McCabe is an aspiring sports psychiatrist and has recently published his thoughts on depression in sport – nicely timed to coincide with the Football World Cup Finals in Russia. Click his photo for more. Day one of the congress on Sunday 24th June included a session delivered by SEPSIG members Amit Mistry, Lynne Drummond and Alan Currie (pictured below). Around 100 delegates gathered to hear a series of talks on the theme of physical activity interventions in severe and mental illness. Amit Mistry opened with an overview of physical activity and mental health focussing on recent compelling research evidence of the health benefits of many kinds of exercise. Lynne Drummond followed with several examples of exercise in practice and a call to health professionals to lead by example. The session closed with Alan Currie presenting data on physical health and use of medical services from a huge in-patient cohort and new information on delivering physical activity programmes via community mental health teams. 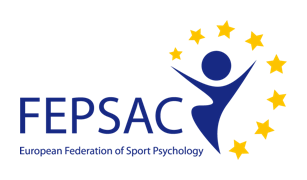 Moesch K, Kenttä G, Kleinert J, Quignon-Fleuret C, Cecil S, Bertollo M. FEPSAC position statement: Mental health disorders in elite athletes and models of service provision. Psychol Sport Exerc [Internet]. 2018;38(January):61–71. The range of coaching, scientific and health professionals available to support an elite athlete or team is large. How do they work together? Who does what? What competencies do they need? Karin Moesch and her team from the European Federation of Sport Psychology have provided an overview of current provision across a number of countries and address these and other questions in their comprehensive position statement. They also provide a helpful review of the treatment pathways in use for an athlete who experiences a mental health problem and an overview of mental health screening processes. September 21st at ISEH. Tony Adams confirmed for a seminar on addictions in sport. Booking details will be posted in early July. Click the image below for more. Severe weather conditions claimed the original venue as a victim late in the afternoon of the previous day. Thanks to the good people of Woodbrooke an excellent alternative was secured at short notice. Woodbrooke proved a highly agreeable venue – a warm welcome, excellent food and superb audio-visual facilities made for a highly successful meeting. We were very grateful indeed! A report of the meeting is on the SEPSIG page. 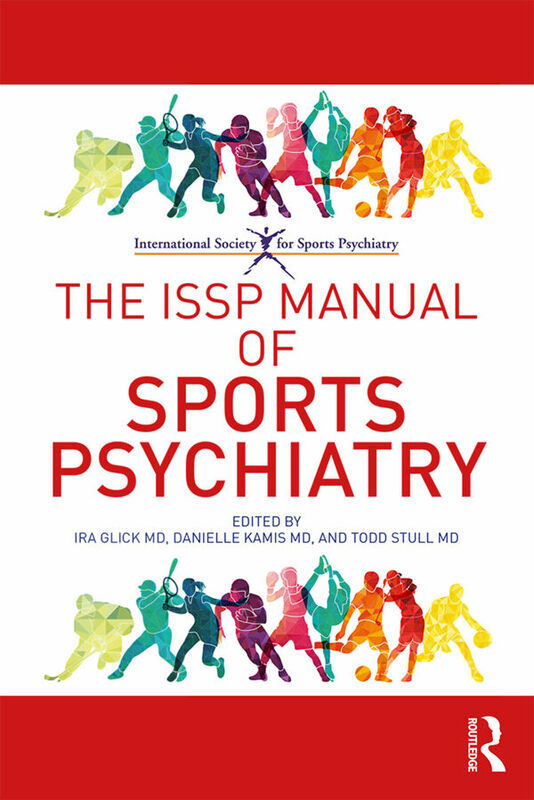 The International Society for Sports Psychiatry has brought together a selection of international authorities in various sports psychiatry fields to produce the first text describing the role and function of the sports psychiatrist. Covering both individual as well as team sports, contact and non-contact, from childhood through late adulthood, the manual describes the role of sports in culture and details psychiatric interventions for players and teams. The editors take a broad focus, covering topics from neuroscience-psychiatric and psychological aspects, performance enhancement, team chemistry and dynamics, organisational issues to working with medical, orthopaedic/surgical and neurological colleagues to provide comprehensive prevention and treatment to enhance well-being and performance. 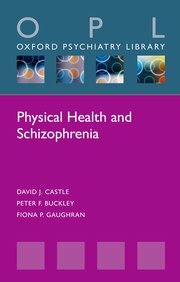 This text will be invaluable to medical and psychiatric physicians, psychologists and other mental health professionals, as well as athletes, trainers, and commissioners. 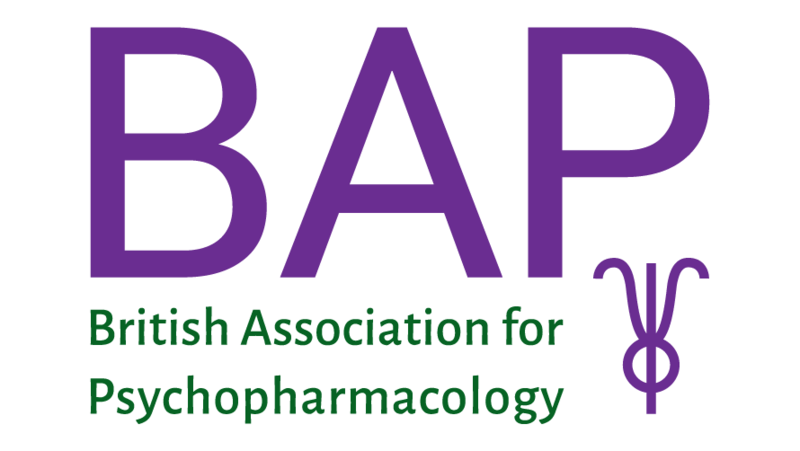 The British Association of Psychopharmacology (BAP) produce a wide range of high quality on-line training modules for professionals. They are available for an annual fee of £120 for non-members, £60 for members and a discounted fee of £30 for members and fellows of the Royal College of Psychiatrists. A new module on TUEs is now available. Look under ‘general psychopharmacology’ in the ‘CPD online’ page. The Institute of Sport Exercise and Health have been strong supporters of sport and exercise psychiatry in the UK. On Sunday June 24th they are organising a 10k and 5k run in scenic Regent’s Park, London. Click the ISEH logo for entry details. You might event consider raising money for a mental health charity such as MIND. Leading UK sport and exercise psychiatrists Caz Nahman and Amit Mistry will both be running in aid of this very worthy cause. 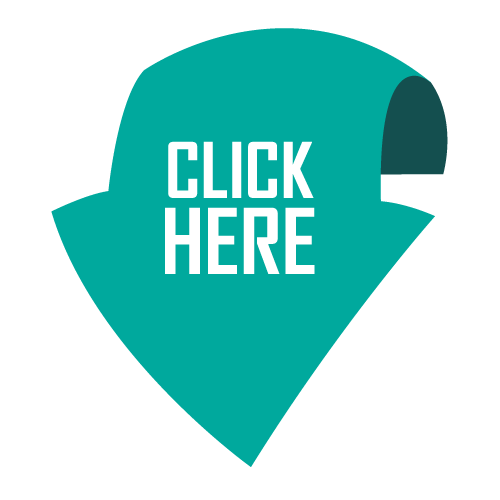 Click on the MIND logo to go to Amit’s fundraising page. 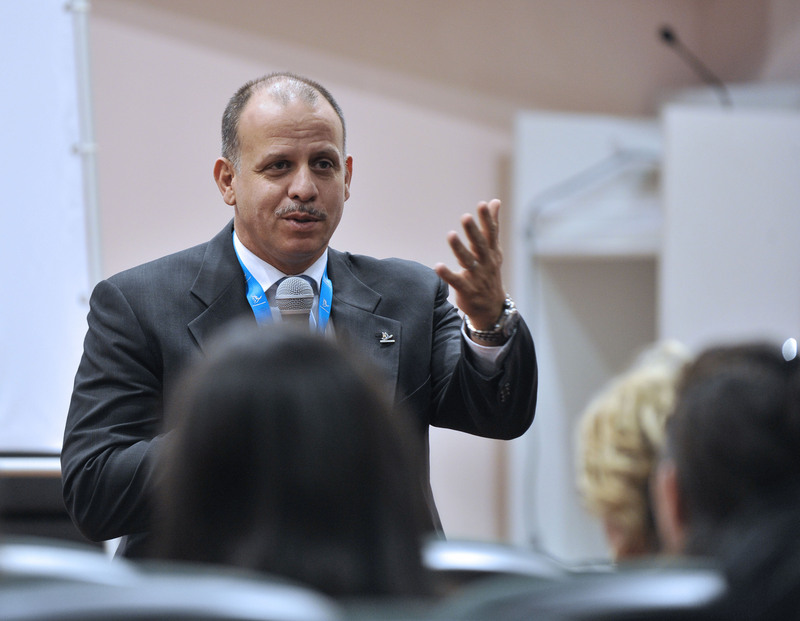 HRH Prince Feisal Al-Hussein of Jordan is Chair of the International Olympic Committee (IOC) prevention of harassment and abuse in sport Working Group. In November 2017 he launched the IOC Toolkit to assist with safeguarding athletes from harassment and abuse. Click on the link to access the toolkit which can also be downloaded. 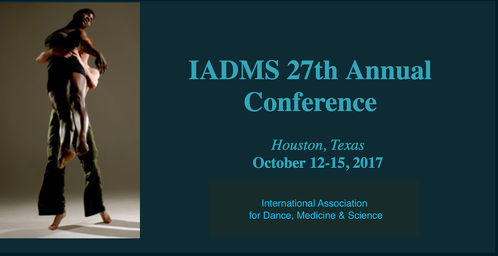 The International Association for Dance Medicine & Science (IADMS) 27th Annual Conference, in Houston, Texas, USA (Oct 2017) included an excellent keynote presentation by Dr Neeru Jayanthi, a leading sports medicine specialist and associate professor of orthopaedics at Emory University in Georgia, USA. The consequences of early specialised training in sports such as gymnastics, tennis and swimming. Acknowledging that intensity of specialisation can lead to early burnout. The challenge of education of parents and coaches. The usefulness of creating injury profiles for high-risk athletes and dancers. Dancers are highly specialised athletes trained from a young age and at risk of not only physical injury but also psychological stress. It would be worthwhile to develop a more sophisticated understanding of their risk profiles for psychological injury and their particular vulnerabilities. A valuable read for anyone working in the psychosis field. It covers all aspect of physical health care and will be of interest to anyone who values the importance of exercise and physical activity in mental health care. Details of the highly successful Spireites ‘Active for Life’ programme were recently presented at a Royal College of Psychiatrists Meeting in Newcastle. see ‘past events’ pages for more details. Mental health problems are common – but how can we promote greater physical activity when it might be helpful in sustaining and restoring our mental health? Click the image to have a look at this video produces by Public Health England in association with a leading mental health charity. Don’t forget to look at our forthcoming events pages for details of what’s coming up in the field of sport and exercise psychiatry.